The May edition of the ECU Newsletter can be viewed here. Anyone for chess in Ferrol, Spain 15th-22nd July? An Invitation to the XXIII International Chess Festival in Ferrol, Spain 15th-22nd July has been received. Anyone interested can download the information here. Today, 25th May 2018, the new GDPR Data Protection Regulations came into force. Mark Adams has kindly created documents to inform Parents, Clubs and Zones on the impact the regulations will have on how data is aquired and stored. We wish them every success. Would all members please note that the office of WCU Finance Director will become vacant on 31st August 2018. Therefore, would all zones please seek a volunteer for this role as a matter of urgency and certainly during the zonal AGM’s. It is with great sadness that the WCU has learned that GM Evgeni Andreyevitch Vasiukov died on 10th May. As a chessplayer he was among the strongest players at his peak having won the Moscow Championships six times. He regularly competed for Russia in the World and European Seniors Team Championships until last year. 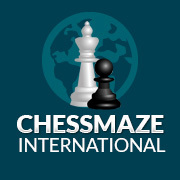 New Correspondence Chess players needed! If you have ever thought of giving Correspondence Chess a try, Wales are about to start a friendly match against Italy,. This represents a great oppurtunity to get involved! It is not every day that a team representing Wales wins any tournament but the Welsh Correspondence Chess team have acheived just that! Congratulations to all the team members involved! The Final Table can be found below. On Saturday 30 June there will be afternoon of fast-paced, light-hearted chess for secondary school players all standards. This will be held at Whitchurch Rugby club, the home of North Cardiff chess club, from 1-4 p.m. (the full address is Whitchurch Rugby Sports & Social Club, Samuels Crescent, Velindre Road, Cardiff, CF14 2TH). A good number of welsh juniors (many from Monmouth) competed in the The Mercia Megafinals held at Hereford on 29th April 2018.